Somehow, the band from Festus, Missouri made it through. But it's not like The Bottle Rockets have gone completely under the radar. In 2007, Stephen King (yes, the guy who wrote Carrie) called them "America's premier bar band . . . often categorized as alt-country — by people who need categories." They've toured extensively with Marshall Crenshaw. Guitarist/singer/songwriter Brian Henneman was once Wilco's "hired gun," contributing his guitar skills to AM. 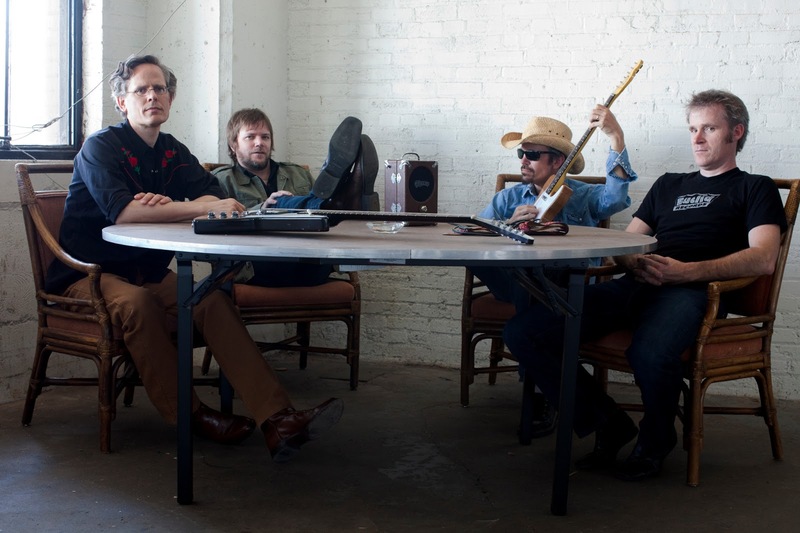 Jeff Tweedy even once joined the Bottle Rockets on stage for a cover of Neil Young's "Walk On." And really, what other band out there writes songs like this? Last time I checked the Internet, big bucks weren't being shelled out for songs about radar guns, thousand dollar cars, trailers, and/or weed eaters. This will never be music that equals the profit of gold, at least monetarily. That cash is saved for wrecking balls. What we have here are four dudes who have reached their full potential as songwriters and musicians, blending the sounds of Young, Dylan, Bread, Uncle Tupelo, Petty, and Steve Earle into a form that is almost always relatable to the guy who just fixed your transmission and rotated your tires. You won't find JP Morgan at a Bottle Rockets show. Henneman, Mark Ortmann, John Horton, and Keith Vogele gathered at Off Broadway in St. Louis last Saturday night to celebrate the 20th anniversary and reissue of their self-titled debut. Much of that album, along with The Brooklyn Side (also recently reissued), was played, including roaring versions of "Radar Gun," "I'll Be Comin' Around," "Wave That Flag," "Gravity Fails," and the crowd sing-a-long favorite, "Welfare Music." Stories were shared about Henneman's first band, Chicken Truck, and we were taken "back to the future" and treated to new material, including a little ditty about "big lots of love." A B-side called "Building Chryslers," which you can find on the reissue, was even dusted off and held up pretty well. Perhaps that's why they've lasted 20 years -- all these songs still burn bright and somehow offer something new. I could listen to "1000 Dollar Car" another twenty times live and might never have enough. Talk to me in 20 years, but chances are I'll still feel the same.